Maggi as American soft chopsuey in cooker! 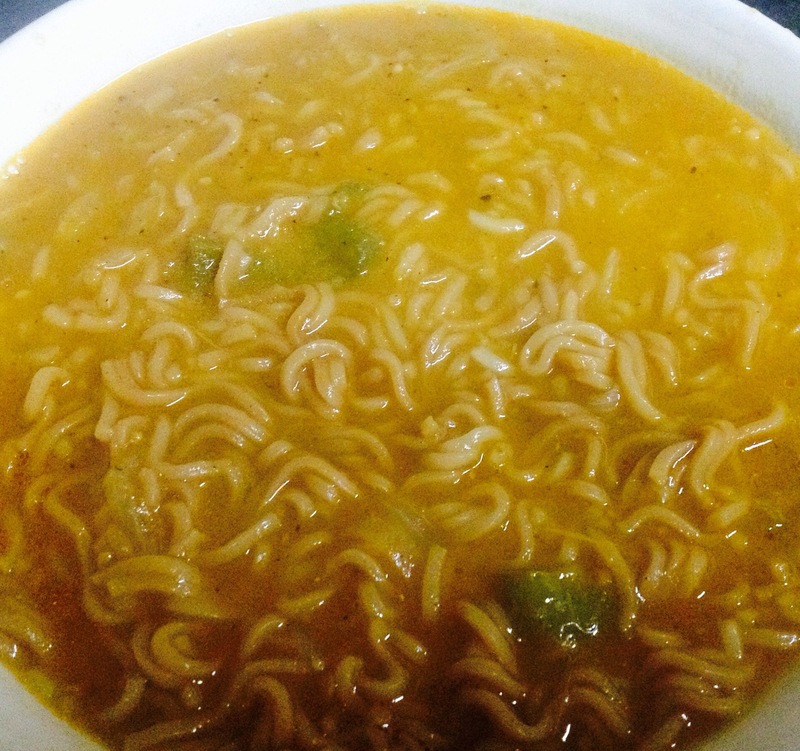 It is one of my kids favorite way to have Maggi. It takes 30-40 minutes to make n get ready to slurrp but they wait because they know well that end result is very yum n tasty! It is very easy recipe if you really like chopsuey but hate the long process. Just try it and may be you will start making it quite often because it is actually very magical in taste. 1- First put chopped tomatoes, ginger,water, salt, sugar and black pepper powder in cooker. 2- You need to take 2-3 whistle on high or medium flame. 3- Open Maggi packets and deep fry noodle till medium brownish and take out on tissue paper in a plate. 4- Deep fry capsicum slices too. 5- Now open the cooker.Strain the water in a bowl n grind the remaining tomato into paste. 6- In the same cooker heat desi ghee or oil and fry onions till golden brown. 7- Open masal packs of Maggi and mix in onion very well. 8- Now add tomato paste, water in bowl, fried Maggi and capsicum to cooker. 9- Mix well and close the lid. Take 2 whistle on the lowest flames.